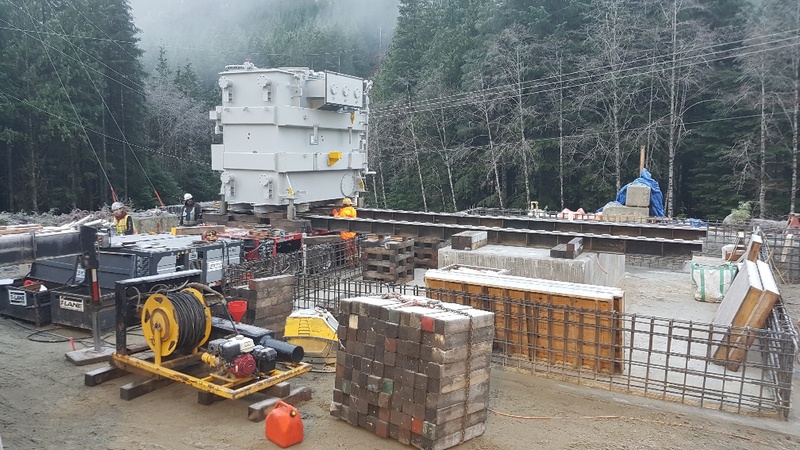 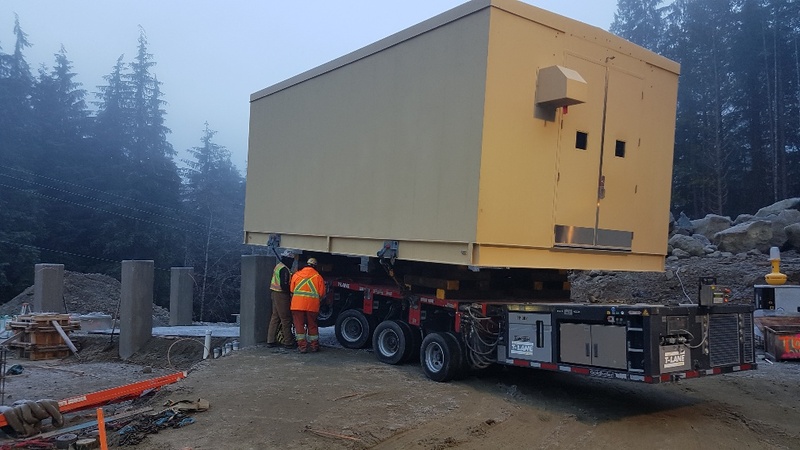 T-Lane’s jack and slide crew spent some time in Narrows Inlet transporting an 110 000 lbs transformer and a 15’6″ high, 14’2″ wide and 27′ long eHouse. 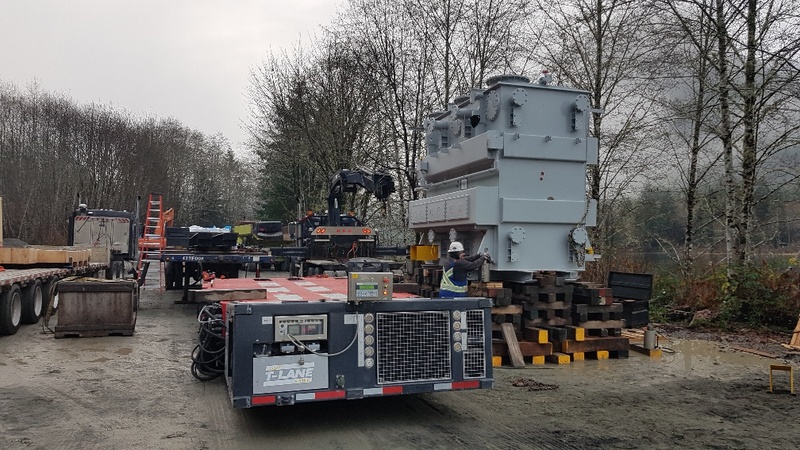 The transformer was needing to be moved from it’s temporary blocking to it’s permanent destination. 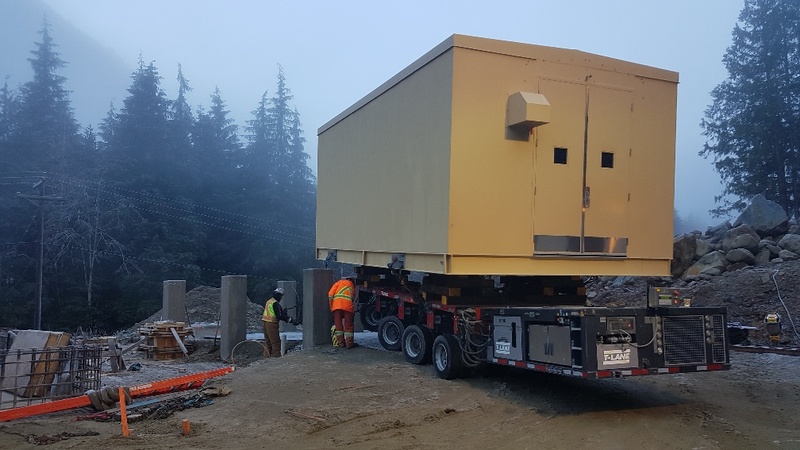 The T-Lane crew utilized jack and sliding methods, along with a specialized self-propelled trailer (SPMT) to complete the move. 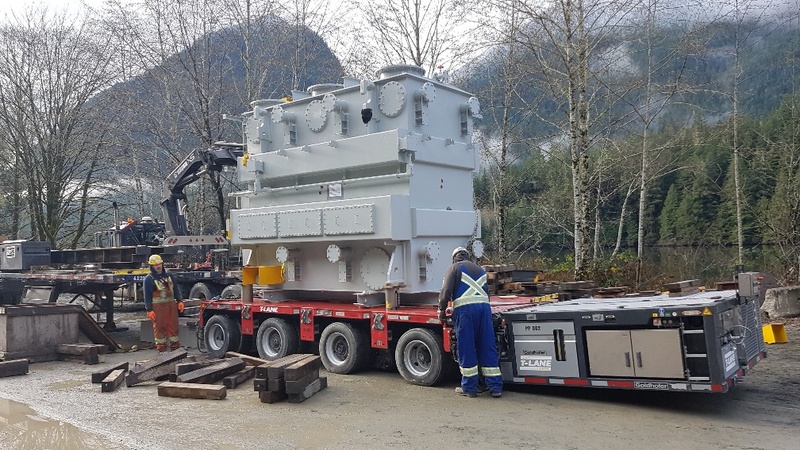 With 5 km of logging roads between the origin and destination, at a 15% grade, the team at T-Lane used every precaution to ensure safe delivery of this equipment. 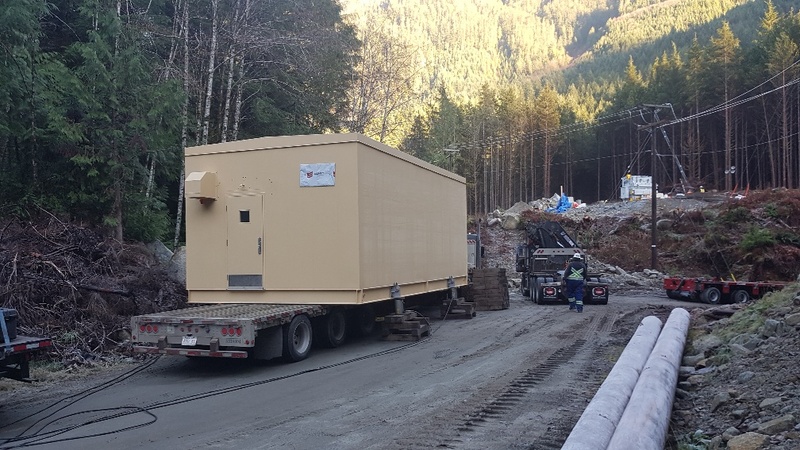 The eHouse was transferred up the logging road on a regular deck-style trailer, before being transferred onto the SPMT and moved into position. 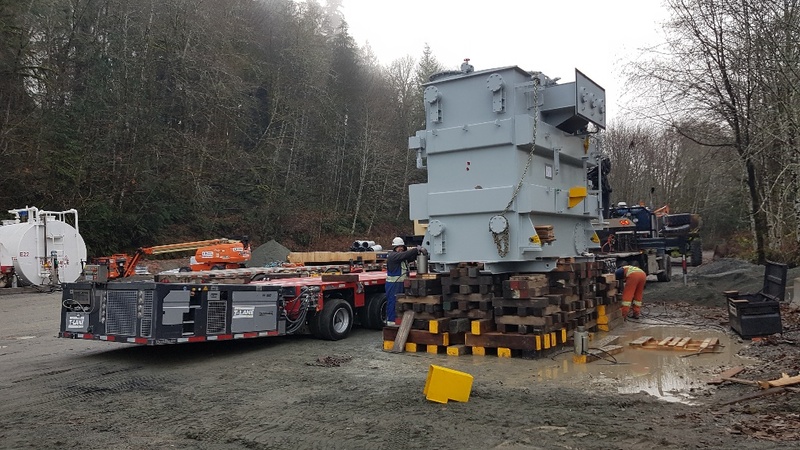 Jack and sliding is a technique used to transfer equipment that cannot necessarily be done with a crane. 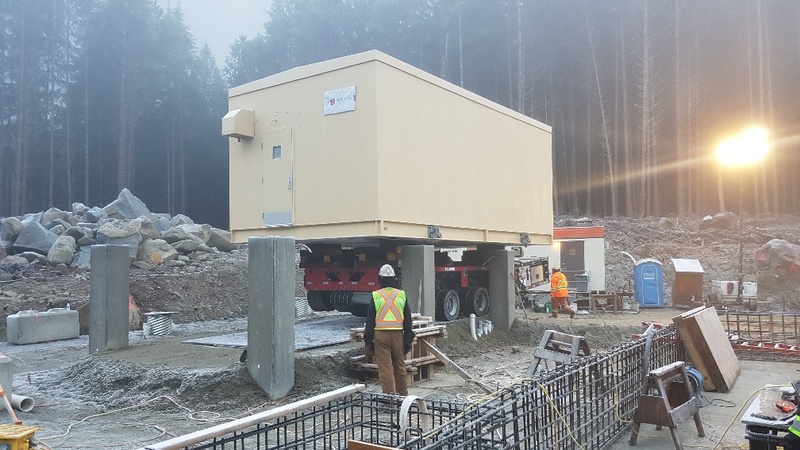 T-Lane’s Jack and Slide team has over 50 years experience in the service, combined. 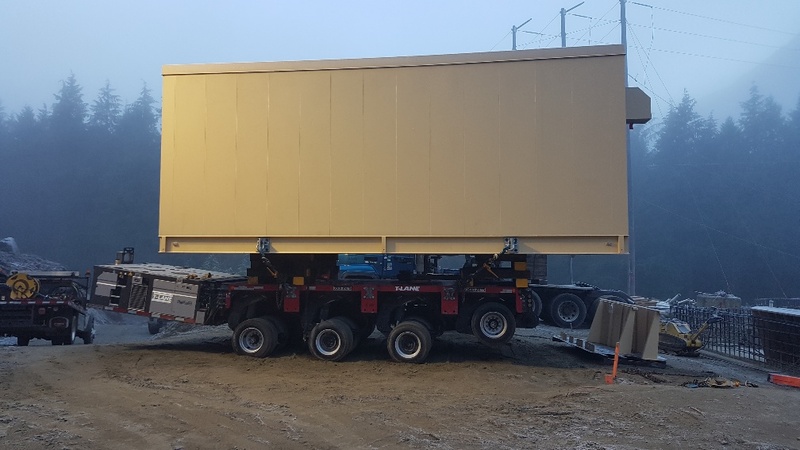 An SPMT trailer is a self-propelled trailer which is remote controlled. 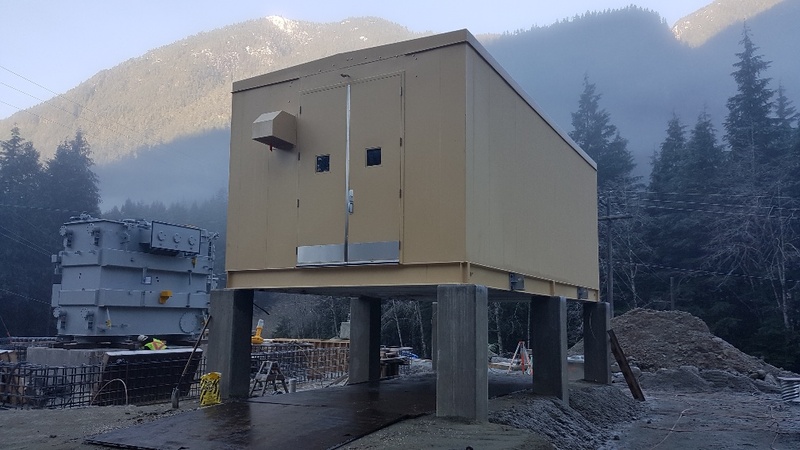 This trailer can be reconfigured to meet any client’s needs. 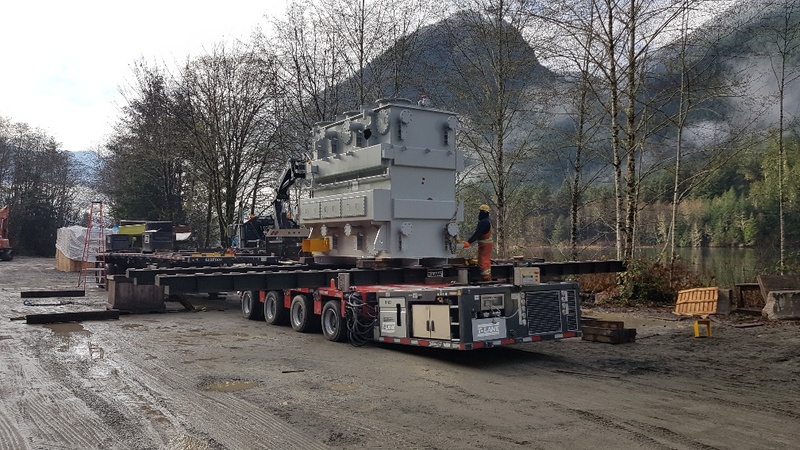 Contact T-Lane today for all your heavy haul and unconventional freight.